The Sordune is a Renaissance-era instrument having a double reed and a doubled-back cylindrical bore. The kortholt is similar, but has the reed inside a windcap (like a crumhorn): the sordune is played with the reed between the lips, like a curtal or dulcian. The curtal/dulcian is different in that it has a conical bore, rather than a cylindrical bore. 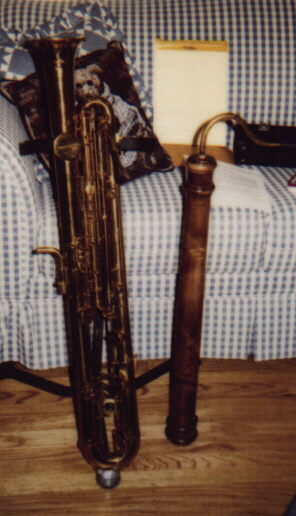 In this picture, its the instrument on the right (on the left is a bass sarrusophone).